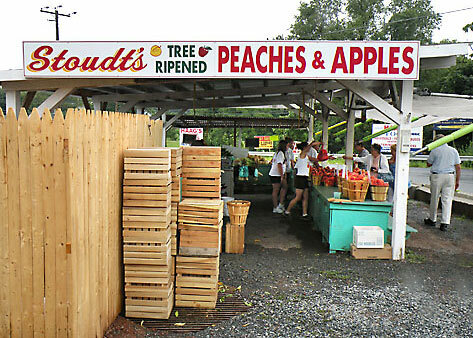 At least once a summer, I try to time my vacation travel to include a stop at Stoudt’s Fruit Farm Stand, just off I-78 in Shartlesville, Pennsylvania. Why? Well, they have all kinds of excellent homegrown produce, but really, it’s all about the peaches for me. Stoudt’s sells some of the best tree-ripened peaches you will find anywhere, and they’re always worth the trip (or the detour). 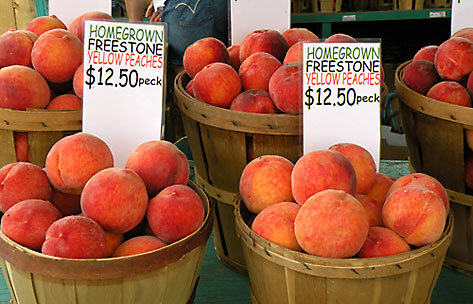 This afternoon I stopped and purchased a peck of Freestone Yellow Peaches, and they are, once again, mouth-wateringly delicious. Although we will enjoy most of them plain because they are just too good to consider cooking or baking with, I have set aside a few for my favorite summertime drink, the Peach Daiquiri. A lot of peach daiquiri recipes are overly fussy, involving simple syrup, lime juice, powdered sugar, and even daiquiri mix (oh no!) However, I do not think any of that is necessary, because when you start with peaches this good, the recipe is simple—just three ingredients! – Place all ingredients in blender with tight-fitting lid. Puree until smooth. Pour into a tall glass and serve immediately. If desired, garnish with a peach slice and a mint sprig. Find a sunset view and a rocking chair, and sip slowly. Tips – If a peach is truly ripe, the skin will peel off easily using a paring knife. Otherwise, drop peaches in boiling water for about 45 seconds then drop in ice water for about 1 minute. The skin should come off easily. – White rum can be substituted for golden rum, but the flavor will not be as deep. If using white rum, add a tablespoon of fresh lime juice for extra flavor. Well hello end-of-season peach fun! This looks simple and yummy! Thanx for the advice on the golden rum…I have used white rum in a few recipes and not been so happy with the results… Time to invest in some additional rum!!! Sounds good – but truly not a real daiquiri! The essentials for a daiquiri [which is at the end only a variation of a sour] is lime and sugar. Dominik, You are right. In the very strictest sense, a pure daiquiri has only three ingredients—sugar, lime juice, and rum poured over cracked ice, dating back to the 18th Century. Lucky for us, a few centuries and many manisfestations later, the modern frozen daiquiri has evolved to include a wide array of flavors and, to your point, has a smoothie-like texture. p.s. Your website has awesome photos!! Sounds good. 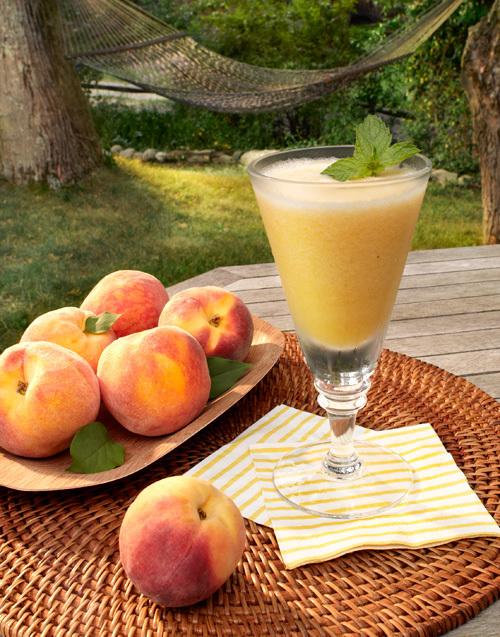 We use Bacardi frozen pina colada mix and throw in peaches for the ultimate peach smoothie. Sarah loves them. We add rum for the grown-up version of course.